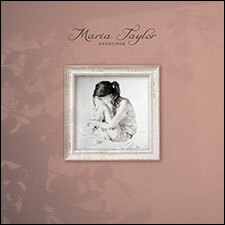 Atlas and the Anchor: Maria Taylor - "Overlook"
Maria Taylor is set to release her fourth solo album, Overlook today on Saddle Creek Records. The new album was recorded after a move back home to Birmingham, Alabama with her dear friends and family lending a hand to her self produced album which perfectly showcases her beautiful voice and diverse and interesting arrangements. Unlike any Maria Taylor song before, “Masterplan” opens with loud, cascading drums and driving guitars and synths, signaling the change in sound the new album holds. Catchy first single “Matador” stands out with marimba, a shuffling beat and an unhinged guitar solo by Browan Lollar from Jason Isbell & the 400 Unit, who plays guitar throughout the album. “Happenstance” features Maria’s breathy, inviting vocals wrapped around ethereal lap steel that mimics the swirling wind and cold she invokes on the song’s refrain, “On this cold night in Alabama”. Maria lets her Southern roots shine on the next two tracks. “Like It Does” fills the room with vintage organ swells played by her brother Macey Taylor and a laid-back country vibe, while “Bad Idea?” is an old-timey saloon strut with a mandolin solo from Maria’s father, Macey Taylor Sr. and a playful rumination on growing old. “Idle Mind” is a dream-like ballad with a flute matching Maria’s lilting vocals. A song of love gone wrong, the bouncy “In A Bad Way” stands out with a beautiful string synth arrangement and a bluesy guitar solo by Browan. The album closes with the juxtaposition of bright guitars and the aching melodies of the bittersweet “This Could Take A Lifetime” and Along For The Ride” which carries over the former track’s atmospheric lap steel with a chorus of angelic voices for a hypnotic lullaby to end the album. With Overlook, Maria Taylor proves that “home is where the heart is” as she gathered her Birmingham-area musician friends and family together for a loose session that truly brought out the best in her for her most cohesive and captivating album yet.